It's hard to pick funny picture books, because the age of the reader makes such a big difference. Even a year in development can completely change the nature of the book. For instance, my go-to book for reading in classrooms was Sweet Tooth, by Margie Palatini because doing a cranky voice for the named tooth is well, so sweeeeet. When I tried this book with kindergartners though, they didn't really get it or laugh. However, first and second graders loved it. So, what I've shared today is a progression of funny books, from a lightly amusing book for a preschooler and moving up in age. Enjoy. Mouse was definitely mad, but as he expresses himself by hopping, stomping, screaming and more, other animals take the starch out of his tantrum by showing him how expertly hopping, stomping, screaming and more can be done. Finally mouse finds something he does better than anyone, and it calms him down. While there is certainly a lesson to be learned here about taming a tantrum, it is amusing to see the other animals take his actions at face value and challenge his technique. Great story, with Henry Cole's always friendly illustrations. Coming construction is going to chase a bunch of animals out of their wooded home, and though they try to talk to the people, no one will listen. 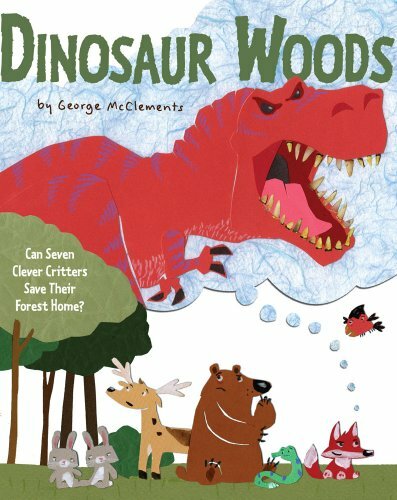 They come up with a plan to build a dinosaur, knowing that people won't tear down the woods with a dinosaur. They all try to work together but Something Goes Wrong. However when the animals are exposed they turn out to be endangered and the woods are preserved after all - along with their friendship. Lots of amusing asides and touches throughout the book keep it funny. Look for the specially named "Crabby-Faced Punching Rabbits" or the great facial expressions on the collage illustrations. Environmentally safe and seriously fun. A shy hermit crab, stumbles into being a hero when he dons an unusual "shell" - the discarded, broken top half of an action figure. When a crab trap lands in an unfortunate place - "Hey, where's the flounder? Has anyone seen the flounder?" - everyone see the hero near the trap and assumes that he's responsible for moving it and saving the day. But the best part is in the unexpected result. 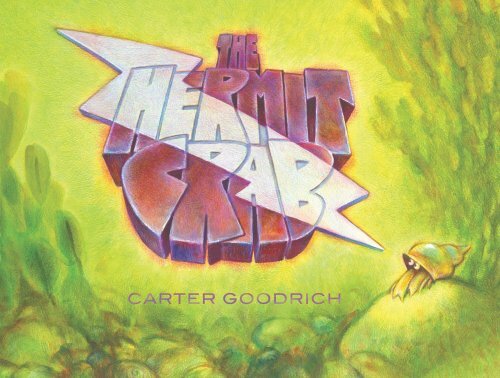 The hermit crab draws into the shell, doesn't take credit, doesn't change, and leaves the "hero" shell as soon as he can. I love the idea that it's okay to stay out of the limelight. It's okay to be shy. Funny pictures add to the joy of this quirky book.